Whether you are going live with your first deployment of Microsoft Dynamics AX or you’ve made substantial enhancements to the system, you want to understand how the changes will impact your IT infrastructure. Load testing is the process of simulating the user experience under normal and peak conditions to identify and eliminate bottlenecks on the system prior to going live. Your most intense, multi-user ERP script items can be run in a test environment. Catching performance issues early enables them to be addressed before go-live, reducing risk and avoiding surprises with your mission-critical systems. 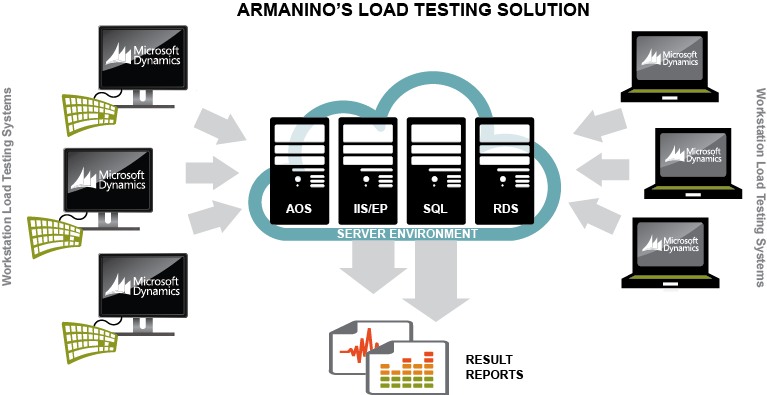 Armanino has developed a proprietary process to load test your system. Scripts are recorded using technology that is based on the native “Task Recorder” functionality of Dynamics AX. Each step can be edited for accuracy, enabling error handling and precise test control. A dashboard view then provides performance load testing indicators that measure how your current environment will perform when it goes live. With Armanino proactively testing your Dynamics AX system in production, you will be assured that your IT infrastructure can support the added functionality of your new Dynamics AX ERP solution.